It is very important to buy as much car insurance as you can afford to protect you and your family. Insurance is purchased to provide coverage and protection in the event that we harm someone else. Insurance can also protect you if you are injured by someone who has no insurance or insufficient insurance. In New Hampshire, insurance is not required for drivers unless that driver has already had an uninsured at-fault crash. In the event that you are injured by an uninsured driver, your Uninsured Motorist Coverage will protect you and compensate you and your family for your losses and harms. If someone else causes a crash that results in injuries, you may have an insurance claim. You should ask the police officer or department for the other driver’s insurance information. You may have to request a copy of the police investigative report from the police department. If the responsible driver has insurance, you will likely receive a phone call or a letter from them. We do not recommend that you give a recorded statement to the insurance adjuster before you speak with a New Hampshire injury attorney at Manning & Zimmerman Law. The insurance adjuster is trained to take statements that help them delay, deny and defend against compensating you for your harms and losses. We would be happy to talk with you about your car crash or other personal injury matter. 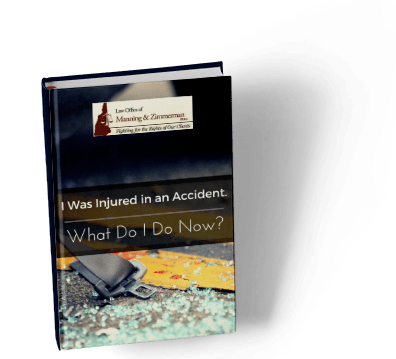 If you have been injured by another person’s careless acts, contact the NH car crashes attorneys at the Law Office of Manning & Zimmerman PLLC. We may be reached at (603) 210-4464 and by email at info@MZLawNH.com. You may also use the “contact us” or chat feature on our website. The NH car crashes attorneys at Manning & Zimmerman Law invite you to subscribe to our newsletter. We are also on Facebook and you can follow us on Twitter.